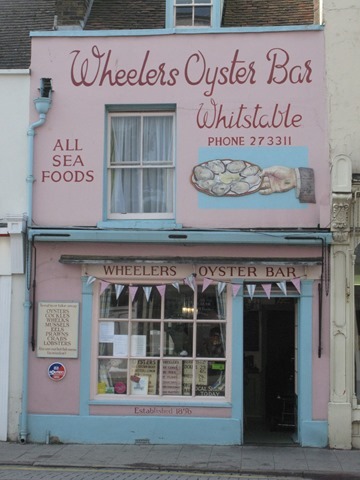 I very much hope to return to Wheelers Oyster Bar in Whitstable one evening in the future with several bottles of BYO tucked under my arm and cast-iron babysitting in place. 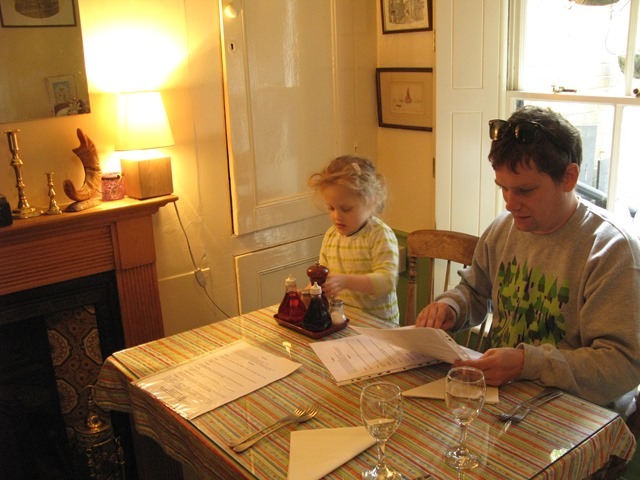 For as lovely as it was having our wedding anniversary lunch here recently with our three-year-old daughter E, it wasn’t half nerve-wracking trying to eat delicate seafood dishes in a petite back room stuffed full of tempting knick knacks and things to BREAK. When you eat out with a ‘threenager’ you are effectively dealing with a ticking time bomb before the tears and thrashing about kick in. It’s not their fault. It’s just how it is. I’d rather go out anyway, than stay in for fear of offending people. This country is so bad at dealing with the sight of children in restaurants – but at Wheelers the staff were simply awesome on every level. To be fair to my daughter, E did pretty well. Try confining any threenager to a small seating area, surround them with antique candlesticks and glass condiment pots, then present them with scary seafood! To ensure that I actually did get to eat anything myself, I was forced to draw things for E on paper at high speed with felt tip pens, while corralling all breakables to one end of the tiny table. 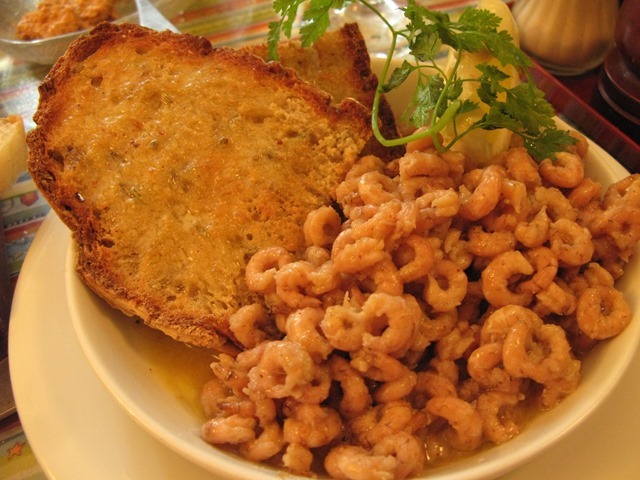 I have never eaten potted shrimp so fast, while attempting representations of ‘Hello Kitty’ characters on the back of a napkin. Plus telling E not to cry or shout because the restaurant didn’t do chips and we had run out of Pom Bear crisps. Anyway, minor challenges aside, the food we ate at Wheelers that day was bloody amazing. 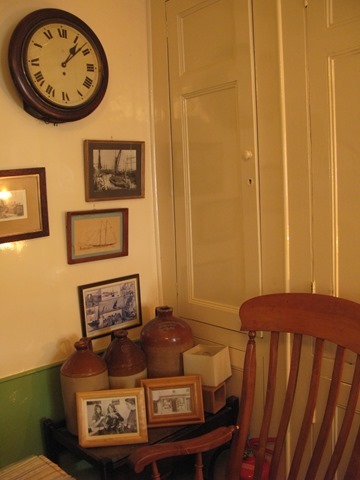 Inside this little pink jewel box of a restaurant (just a sitting counter in the front room, and four tables in the back parlour) you will feast on some of the finest seafood available in all of Kentshire. This is the oldest restaurant in town, it has atmosphere in spades and the staff are super welcoming. They come and chat through the menu with you first, tell you what the good stuff is that day, and then it’s up to you whether you have a la carte-style main dishes or an array of things – from smoked fish to fresh oysters – on small plates. We opted for the small plates, because that way we got a good spread of lots of things. 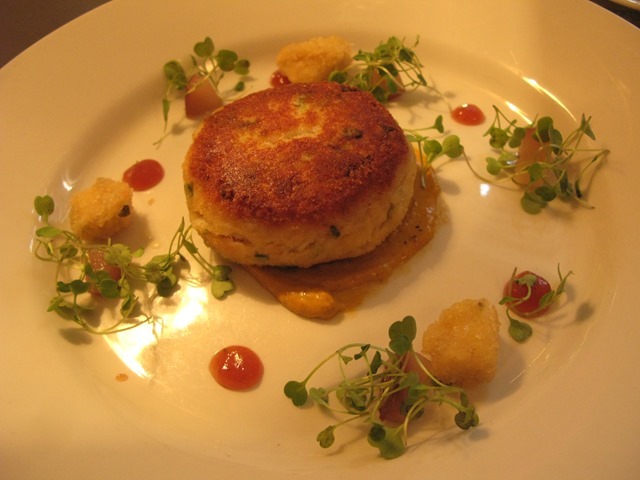 Crabcake on a curry-infused sauce, with interesting pickles and blue cheese beignets dotted around the plate. Crazy combo; ruddy sensational. We were eating so fast so I neglected to take photos of my husband N’s Japanese-style rock oysters with soy and mirin, and the soft shelled crab that came in a light, crunchy tempura batter. Both super good. Absolutely everything was delicious and tasted so fresh. 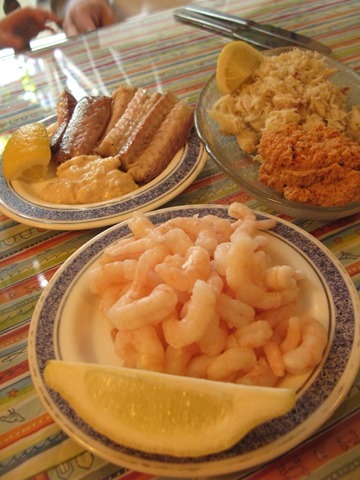 And such good value for the amazing quality – we paid just shy of £35 for all three of us for a vast quantity of food, and it was easily the best seafood I’ve eaten in years. We easily paid the same money, if not more, for a dire lunch of lobster and salad several days before at The Whitstable Brewery Company and it was so shite I wanted to cry. Wheelers know what they’re doing. Ahh, I have really fond memories of Wheelers. When I was heavily pregnant, I spent a weekend in Whitstable with my female friend Hannah. The plan was to enjoy great food, rest, walks, vintage shops and a trip to Derek Jarman’s cottage in Dungness – all before the peace and harmony was wrecked by a squarking newborn. We booked a table at Wheelers, and I waddled across the road to buy us a bottle of prosecco. I guess this says a lot about my approach to pregnancy – sitting down with a friend to share a bottle of prosecco and gorge on delicious fresh shellfish. Thank god I went before the baby arrived. That dining room is too dainty for the wrecking-ball that is my toddler!